… but we got there !!! 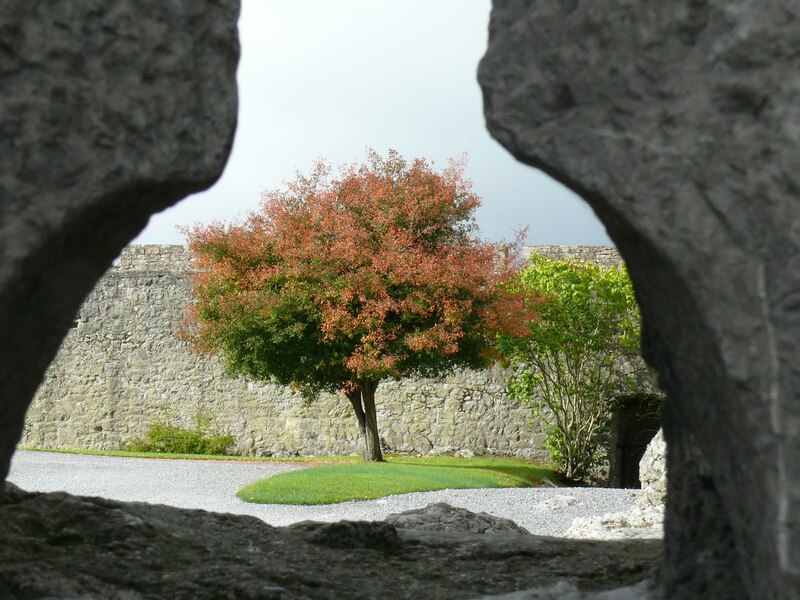 Peeking through the thick, rock castle wall …. .. ooops .. cannons at the ready … !!! … drawbridge still up .. we are friends … not foe !!! .. and not too tall … the doors are rather low … !! … look out through one of the windows … is the enemy surrounding the castle ?.. oh no … ‘bad person’ in the black … flat against wall at bottom .. ! 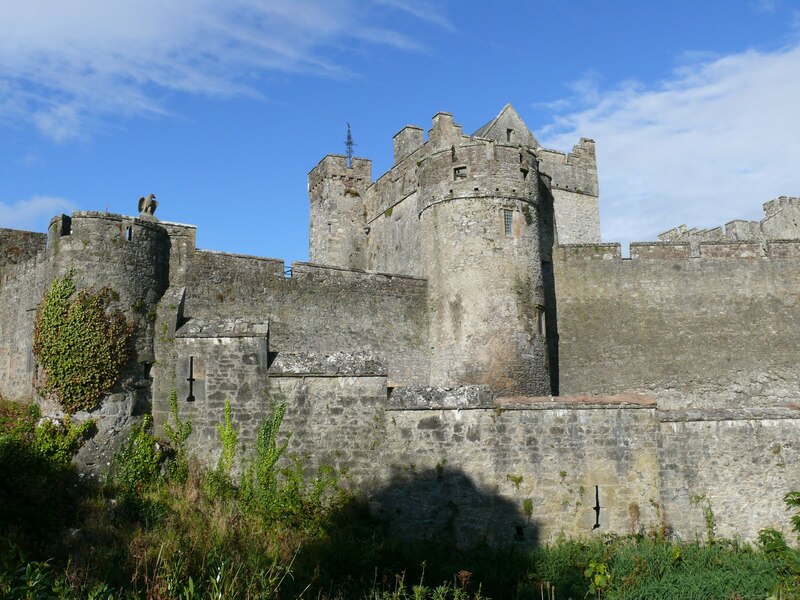 Phew … ‘bad person’ gone .. we can relax … and enjoy the view of the town of Cahir ..
… pretty, isn’t it ? Oh yes ….. if you still have the energy .. you can go on a parkland stroll or a longer hike along the hiking trails …. That castle is a stunning place. I can get lost there with my camera. The pic of the tree through the gap in the wall is perfect. What a pretty place, and I am sure it could tell some amazing stories! Was it eerie? I wish those walls could talk! Janet – no it wasn't eerie. In the main castle all the rooms were very large and sparcely furnished. Will put more photos on FB so you can see. As with most of the castles, we didn't have time for the guided tours which would have always been interesting with tales of 'yore' I'm sure!! I loved all the castles imagining who lived in them .. I am a girl afterall !!! Jonker .. my last Wordless Wednesday was here too, showing a cannon through a peepy hole which was obviously used for arrows. Amazing photo you have here ~Avril…wow – love so many of them.You are getting to clever with that camera of yours, interested to hear what J thinks about your pics. Thanks again for the tour! Loved it. Its like having my own tour guide!! Fantastic pictures.